Get rid of distractions by removing ads and social media buttons. Quit wasting valuable bandwidth on ads and content you don't care about. Load pages faster and enjoy the web the way it should be. Get rid of annoying ads, stop sites from tracking you, and speed up your browsing experience. Load pages faster while simultaneously cutting back on your data usage. Choose what you want to block, when you want to block it. 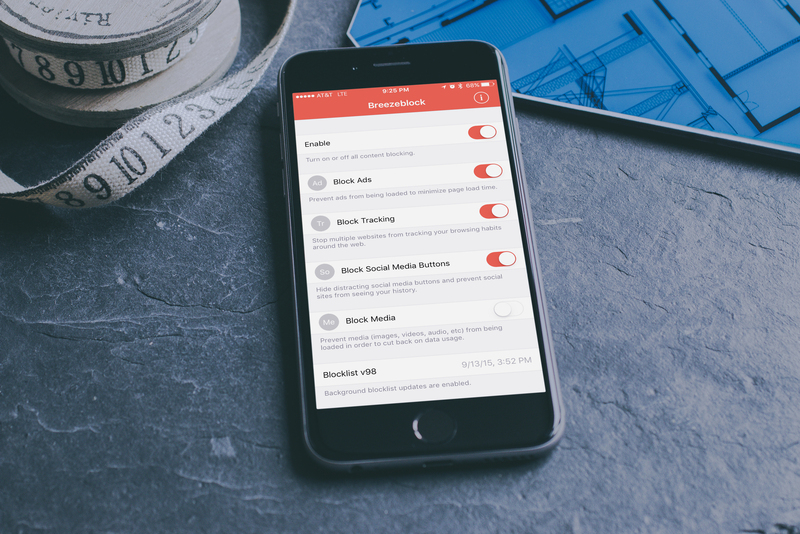 Choose from blocking ads, tracking sites, social media buttons, and media. Block any combination of these at any time. 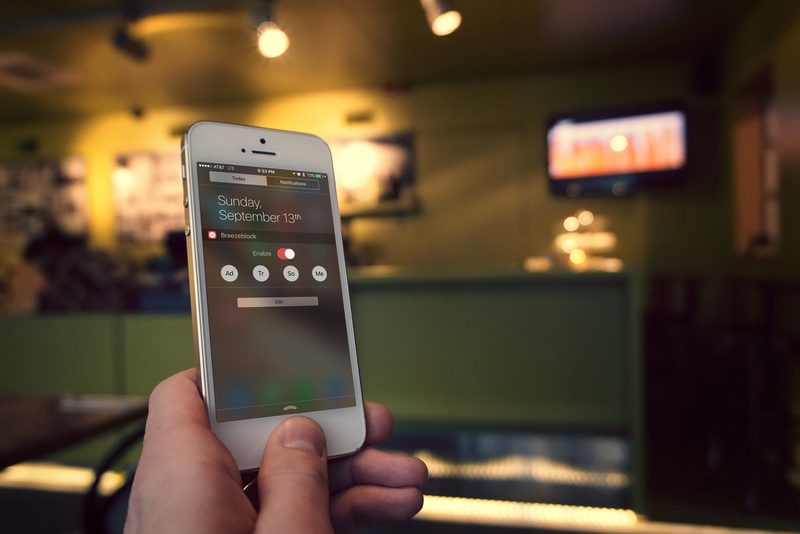 Open up notification center in order to choose what content you want to block. All without leaving your current app. Automatic, high quality block list updates ensure you stay one step ahead of advertisers. 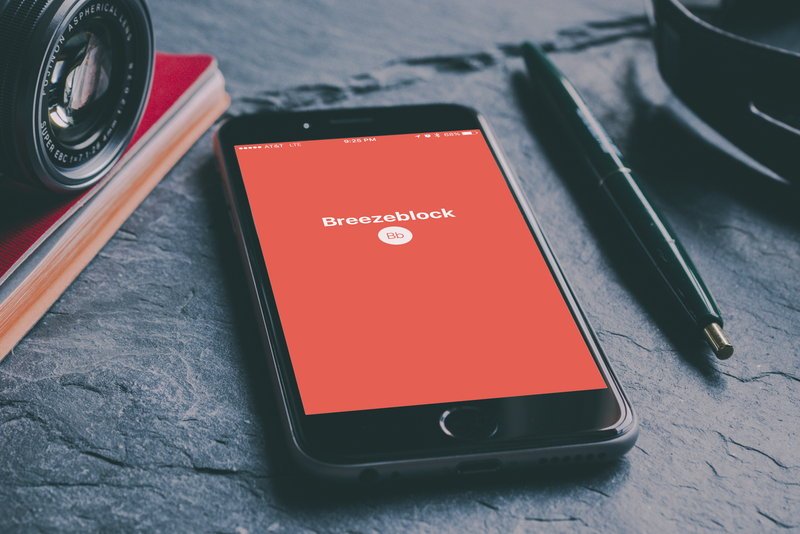 Via iCloud, Breezeblock will automatically update and refresh your block list without you needing to do anything. Send an email to support@appbrewllc.com with any questions or concerns. We will respond back shortly. Thanks! Got a suggestion or feature request? Send an email to suggestion@appbrewllc.com. 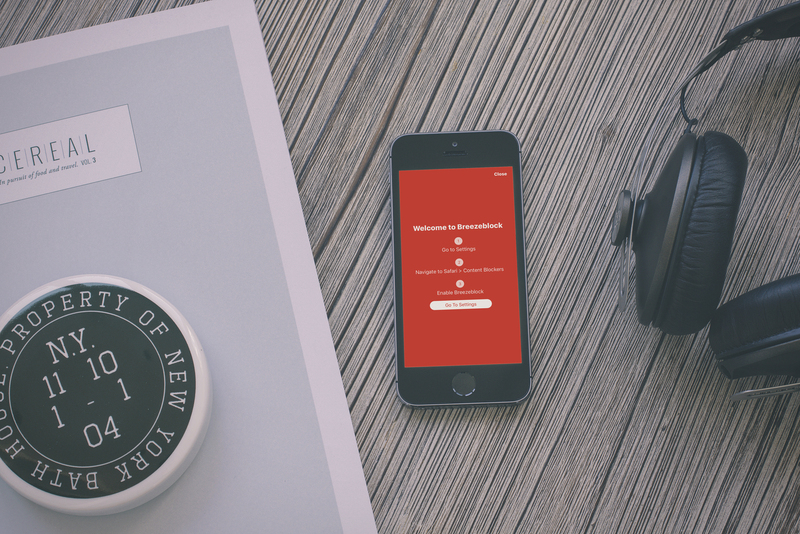 We love getting feature requests because they help us choose what to add to our app next.